Let the award-winning attorneys at Lipcon & Lipcon, P.A. handle your personal injury claim. Our law firm is one of the top law firms in Florida, so we know how to fight for your rights in court! You’ll work personally with an injury attorney on your case, and our lawyers offer honest legal advice to help you get the best financial compensation you deserve. When you hire our law firm to handle your case, you get the aggressive representation that is needed to win. Each lawyer at our law office has top reviews online. Our clients and peers have rated us as one of the best law firms in Miami-Dade County and throughout Florida. 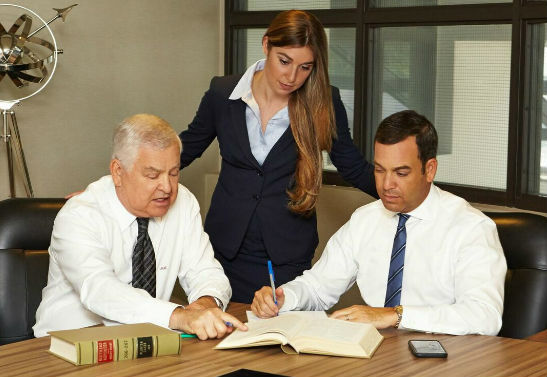 At Lipcon & Lipcon, P.A., we are proud to say that our law firm is like a family and we have fought to defend Florida families in personal injury cases for many years. We have devoted ourselves to aggressively pursuing your rights in court and will continue to do so with each and every case we take on. The attorneys at Lipcon & Lipcon, P.A. have extensive legal backgrounds and have worked tirelessly to be the best in their field. You can trust that your case in the hands of a seasoned personal injury attorney that knows the best way to represent you in the Florida legal system. How do I find the best personal injury attorney for my case? The top law firms in Miami will have excellent online reviews and accolades. When looking for an attorney to hire for your personal injury claim, you should check with the American Bar Association for attorneys in good standing. Our award-winning lawyers at Lipcon & Lipcon, P.A. have excellent reviews with Avvo and Martindale-Hubbell, websites that rate and review attorneys in Florida and across the country. Yes! We understand that legal fees often prevent people from getting the legal help that they need. This is why we offer free consultations. We offer our professional legal advice to our clients and you never pay a single dime unless we collect compensation for you. The Florida legal system can be complicated. Our personal injury attorneys work directly with our clients to help them file their claims. We aggressively represent your rights in court and offer honest legal advice. No matter what type of personal injury you have suffered, we have the experience with Miami civil law to help you receive compensation for your injuries. Contact us today for your free consultation. David W. Lipcon has been practicing personal injury law for over 20 years, and has been awarded an AV rating from Martindale-Hubbell. Mitchell J. Lipcon has been practicing law for over 40 years and has handled complex personal liability cases, including those involving defective products, medical malpractice, and car accidents. Mitchell J. Lipcon was additionally one of the attorneys appointed to represent Bolivian children killed in a tragic aviation disaster in La Paz. Our attorneys understand the devastation and sense of loss your family feels after a severe accident and will work tirelessly to ensure you receive the compensation you deserve after the accident. We will take care of all the aspects of your claim while you focus on your recovery. Learn more about what it’s like to work with us by reading the Google Plus reviews of Lipcon & Lipcon, P.A. Our office is conveniently located just of the Dadeland Boulevard and Pinecrest Parkway Intersection near the Dadeland South Metrorail Station and the Dadeland Mall, approximately 12 miles from Miami International Airport (MIA). Take Miad Circle from Miami International Airport and continue onto NW 21st Street. Take exit 4 and follow signs for FL-953 S/Le Jeune Rd/Coral Gables. The road will eventually become NW 12th Drive, continue on this road and keep left. Merge onto FL-836 W and take the 826/Palmetto Expressway exit in about 2.5 miles. Continue on this expressway and follow signs for Kendall. Stay in the right lane and merge onto FL-94 E/SW 88th Street/N Kendall Drive. Make a right onto Dadeland Blvd, and another right onto S Dadeland Blvd to find our office. Contact our Miami office today for your initial free consultation.